I have fitted out an Isuzu MU-X (LS-U model) as my latest "kitesurfing wagon" (replacing my Nissan X-Trail). 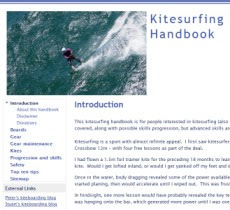 It is great for kitesurfing as surfboards fit easily inside with one seat folded down and there is plenty of room for gear. 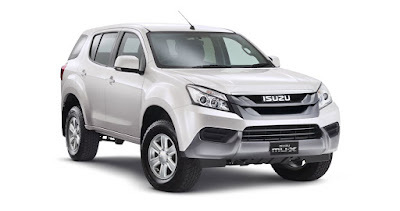 I chose the MU-X on advice from Michael Moran (commercial repairer) who told me Isuzu trucks and cars are very well engineered and well built. They are also about $20K cheaper than an equivalent Toyota Prado. Why is it called the MU-X? Possibilities are its an acronym for "Makes U eXciting" or MU stands for Modified Utility. I chose the LS-U model for the rear air conditioning ducts. It also has side steps and an anti theft alarm over the base LU-M model. I didn't want the top LS-T model as I don't need the leather seats or the satnav system. Kenwood head unit - DDX9016DABS with Android Auto (nav, music, phone etc) and a reversing camera. NOTE regarding spare wheel: Initially I was advised that the new wheel/tyre combination would not fit in the spare wheel location under the rear of the vehicle. However, it DOES FIT with the Hayman Reese towbar without any modifications. The auto is great - its my first auto. Hill descent Adaptive Grade Logic. If you brake on a hill the auto will downshift to provide engine braking. For example, if you brake to below 80 kph it shifts down to 4th and holds that gear. It will then shift down to lower gears if you brake and slow further. It will hold gear until it senses the use of the accelerator for about 10 metres or so. The 3rd row two seats (its a 7 seater) offer good passenger space when they are folded out - but I don't anticipate using them much. The range indicator (distance to go with fuel) is not very accurate. For example it can change from 500 to 300 rapidly. Cannot use tyre chains - not recommended in the owners manual. I am looking at alternatives for snow driving when "chains must be carried"
Bluetooth integration was very poor compared to the X-Trail, no voice commands, its not hands free and address book sync with my Sony Xperia Android phone is unreliable. Replacing the factory unit with the Kenwood DDX9016DABS fixed this.